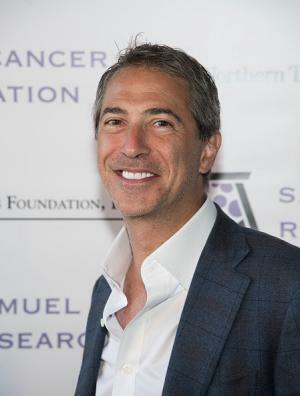 Marc J. Leder was born in 1962 in Long Island, New York, USA, and is a businessman and investor, probably best known as the co-founder of the private equity firm Sun Capital Partners, Inc., where he serves as the co-chief executive officer. He is also a co-owner of sports franchises the Philadelphia 76ers basketball team and New Jersey Devils ice hockey team. Leder’s career started in 1987. Have you ever wondered how rich Marc J. Leder is, as of late 2016? According to authoritative sources, it has been estimated that Leder’s net worth is as high as $600 million, an amount earned largely through his successful career as a businessman. Marc J. Leder was raised in a Jewish family in New York City, where he went to the John L. Miller Great Neck North High School. He matriculated in 1979, and later studied economics at the Wharton School of the University of Pennsylvania, from where he graduated with a Bachelor of Science degree in 1983. Leder’s first job was as an analyst at Lehman Brothers, a position he held from 1987 until he became a Senior Vice-President a few years later. In 1995, he left the firm with his colleague and friend Rodger Krouse, and the two of them founded Sun Capital Partners, Inc., a privately held investment company focused on equity, recovering debt, leveraged buyouts, and other forms of investment. From 1995 to 2004, Leder served as a the company’s managing director, and currently he is a co-CEO of the firm. The Sun Capital Partners Inc. has offices in Los Angeles, New York and Boca Raton Florida, and has numerous affiliates worldwide, including in London, Paris, Frankfurt, Stockholm, and Shenzhen. The company has invested in over 300 companies in the USA and abroad, with combined sales in excess of $45 billion. In July 2011, Leder was a member of an investment group that bought the NBA franchise the Philadelphia 76ers for $280 million. The other members are Will Smith & Jada Pinkett Smith, Michael Rubin, David S. Blitzer, James Lassiter, and Adam Aron among others. Two years later, Leder became a minority owner of the NHL team the New Jersey Devils, after the investment team with Joshua Harris and David Blitzer purchased the Devils for over $320 million; Leder serves on the boards of both teams. Regarding his personal life, Marc J. Leder was married to Lisa J. Weisbein from 1987 to 2009, and he has three children with her. After their divorce, Leder had another daughter in January 2012. Leder is a well-known philanthropist who has donated money to various charities including more than $165,000 to the non-profit organisation called Boca Helping Hands. He has also given over $100,000 to the Operation Homefront Florida, and overall, the Sun Capital Partners Foundation has donated money to more than 250 charities. He openly supported Mitt Romney for president in 2012, and personally donated $125,000 to support his campaign.